Newly tested technology provides Archer Dental’s teeth whitening service teams in all three locations across Toronto with yet another tool! Say hello to GLO. 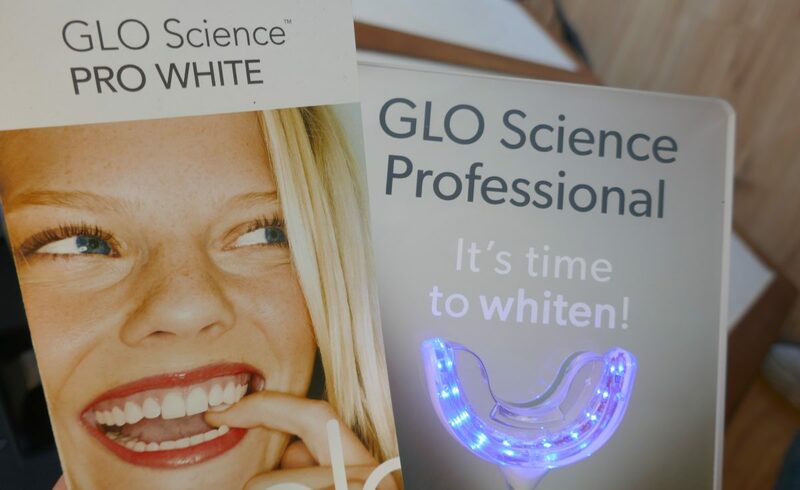 GLO Science PRO WHITE is an in-office teeth whitening treatment that combines GLO warming heat and light with professional strength whitening gel (that can only be applied by a dental professional). 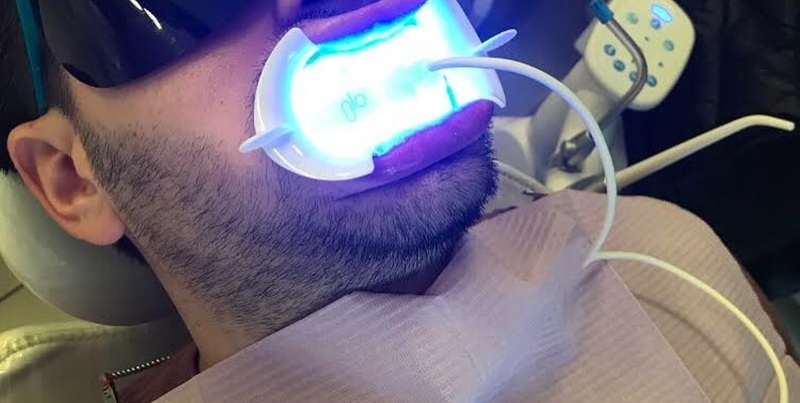 The patented GLO Brilliant device is the only teeth whitening system in Canada today to combine LED lights with warming GLO heat to accelerate safe hydrogen peroxide whitening formulation. Used in thousands of professional dental offices worldwide, the technology is clinically proven to whiten smiles with no sensitivity. The patient bites down just enough to make contact, and to allow the LED lights inside to warm and glow the photo-activated peroxide paste. 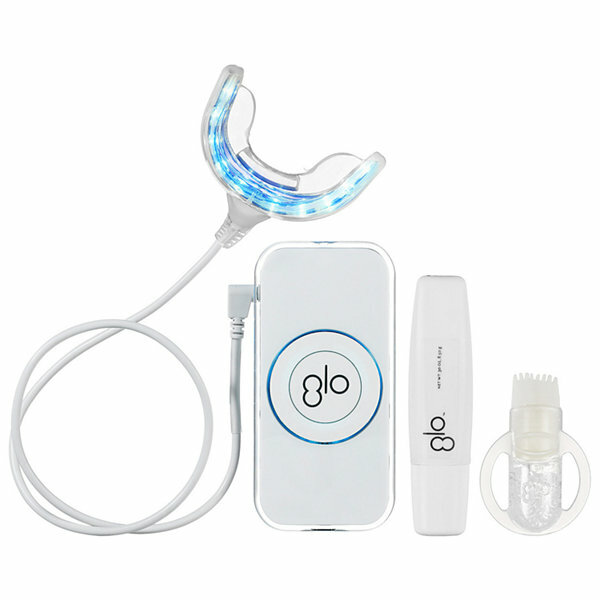 Unlike other hand-held whitening devices on the market, the GLO system is proven to be effective, safe, and easy to handle. GLO chair side service at Archer Dental is a fast professional treatment that creates a whiter smile in under an hour, without pain. G.L.O. Science whitening system is designed for speed, efficiency and safety. Essentially, this breakthrough whitening system eliminates the messy trays and dentist operated light-guns. The patented Guided Light Optics (G.L.O.) device innovation combines warming heat-plus-light in a closed system mouthpiece to activate the professional strength GLO Professional Whitening Gel. Their technology uses both light and heat to optimize the effects of a specially concocted hydrogen peroxide toothpaste. Eight minute applications are set-up in the device to whiten the top and bottom teeth simultaneously. Invented by oral health expert Dr. Jonathan B. Levine, GLO Science Professional is safe to use on crowns, caps, bonding and veneers. Below is a video that shows the system at work whitening teeth. 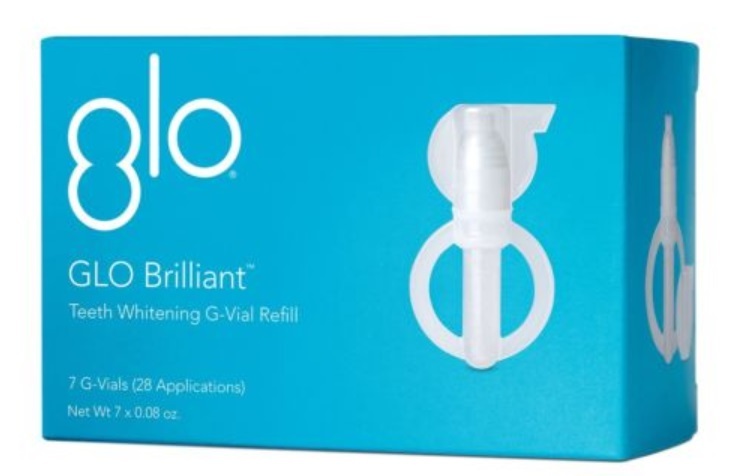 GLO whitening gel comes in small single-use GLO Vials (also called G-Vials) that can be easily squeezed and brushed directly onto teeth. Hydrogen peroxide is powerful but perishable and needs to be kept in a sealed environment to maintain its potency. The G-Vial is a proprietary system that keeps the whitening gel fresh and active using hermetically sealed vials that prevent oxygen molecules from escaping. 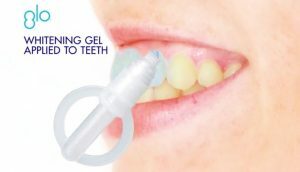 The G-Vial’s easy-to-apply brush tip applicator allows for easy targeting of the gel onto teeth, avoiding the lips and gums in order to prevent sensitivity. The GLO light in the mouthpiece is a blue light (not UV light). The wavelength is similar to what has been used in professional tooth whitening for 10 years. Because the light is built into the mouthpiece and timed for 8 minute intervals only, the contact time is ideal for a session without sensitivity. GLO uses LEDs (light emitting diodes) that emit blue light. Blue light has a wavelength of approximately 470 nm (nanometers) and is part of the “visible light spectrum”, which ranges from approximately 400 nm to 700 nm. It is completely harmless and has no negative effect on the human body. Because having a dazzlingly white smile is important to our clientele, Archer Dental likes to keep current on the latest technological advances in this evolving field of study. Our staff has been keeping an eye on GLO Science and their trademark device since it debuted in Canada last fall and we are proud to announce today that this is available in our Little Italy dental office. Call or visit Archer Dental Little Italy for more information.